iPad users who were craving the same attention of last year will be disappointed by iOS 10's scarcity of iPad-only features. There are some iPad changes, but none of them have the impact of Split View or Picture in Picture. 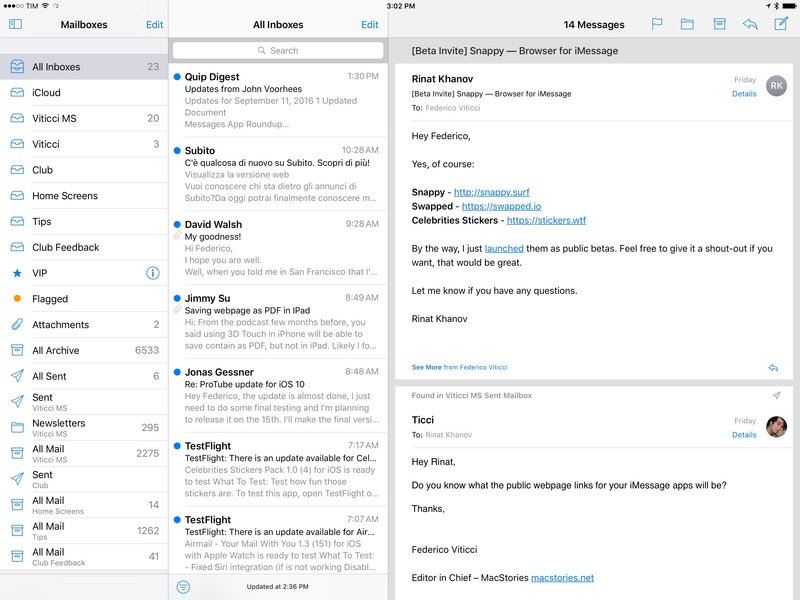 As mentioned before, there are new three-panel modes for Mail and Notes, a Now Playing sidebar in Apple Music, and in-app split view for Safari. 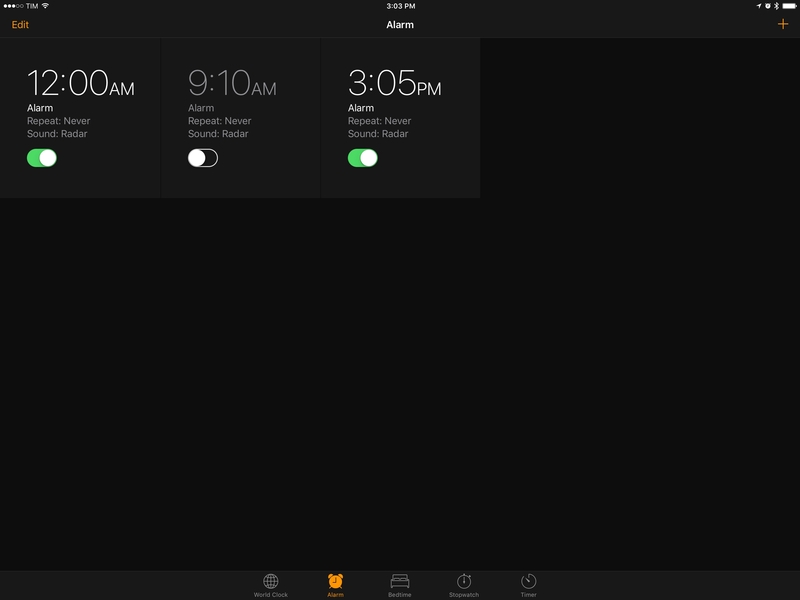 There's also a different look for alarms in the Clock app. 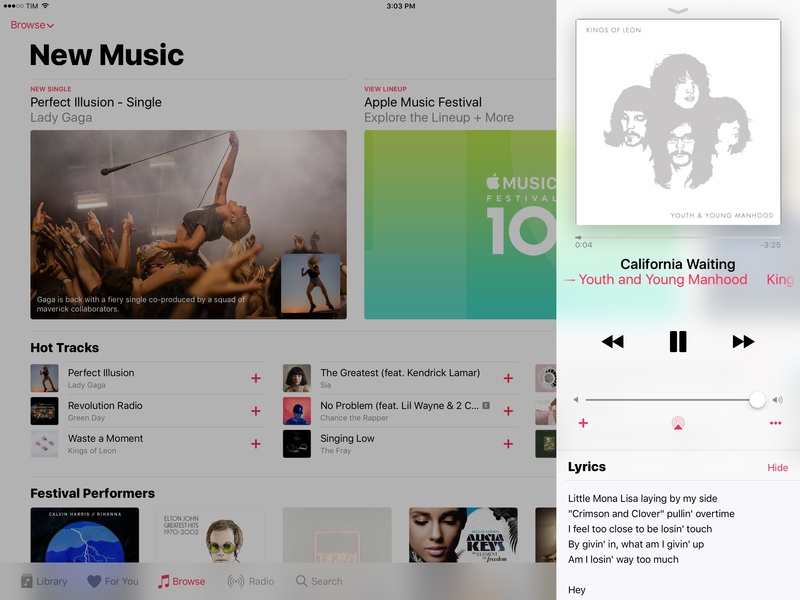 Everything else is a basic adaptation of iPhone layouts or a refinement of the same views in iOS 9. 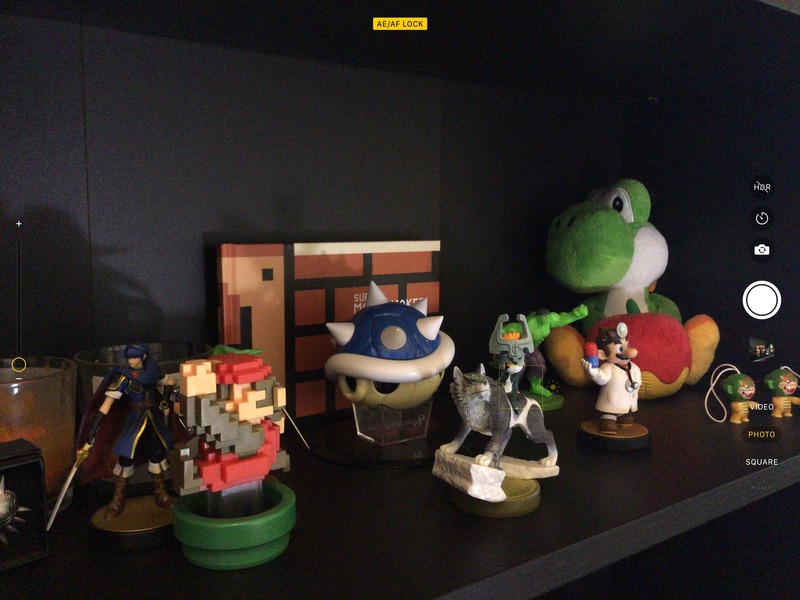 Apple brought a few tweaks to the Camera viewfinder in iOS 10. On the iPhone, the camera flip button has been moved to the bottom, which makes it easier to switch between rear and iSight camera as you don't have to reach to the top of the screen. On the iPad, most of the interface has been redrawn with circular buttons on the right and a persistent zoom slider on the left. Moving on to other features, Spotlight search invoked from an external keyboard with Command-Space will now open on top of the app(s) you're currently using without exiting back to the Home screen. When in Split View, this can be used as a quicker app switcher for the primary app on the left side. Spotlight now opens modally on top of the apps you're using. It's nice to use a Spotlight that behaves more like the Mac. Unfortunately, apps (including Apple's Messages, Mail, and Notes) don't restore cursor position after dismissing Spotlight. If you're typing a message, open Spotlight, and then close it, you'll have to tap the screen to focus the cursor on the last active app and continue typing. There are more external keyboard enhancements that are steps in the right direction. A Home screen icon has been added to the Command-Tab app switcher, so you can return to the Home screen without having to use Command-H. And, Command-tilde (~) can now move backwards in the app switcher, like on macOS.79 Last, you can take a screenshot with Command-Shift-3, which will be saved in the Photos app. 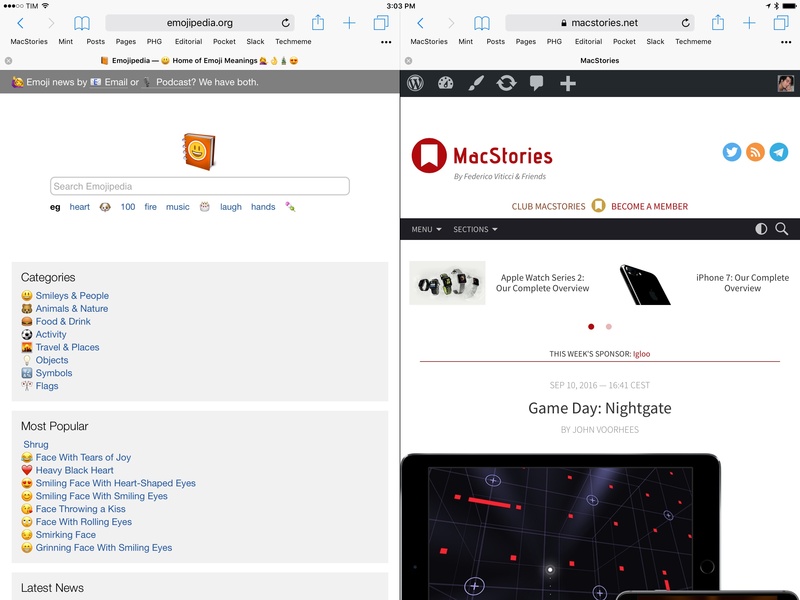 A Home screen shortcut has been added to the Command-Tab app switcher. I'd be remiss if I didn't mention Playgrounds. Apple hasn't brought a full Xcode suite to the iPad, but the more streamlined Playgrounds environment feels like a better solution to introduce a new generation of iOS users to programming. Playgrounds isn't a built-in app (it's available from the App Store), and it's got some surprising innovations in terms of code interactions and in-app multitasking. It's also more powerful than you imagine if you know your way around Swift and native iOS frameworks. We'll have a separate story on Playgrounds later this week. The lack of deeper iPad improvements in iOS 10 amplifies problems Apple still hasn't fixed. On the 12.9-inch iPad Pro, the Home screen is still a wasteland of icons that don't take advantage of the space offered to them. This year, the contrast is especially harsh given how iPhones with 3D Touch have received Home screen widgets in addition to quick actions. Managing multiple files at once across different apps is still a task that will test the endurance of the most patient users. The Open In menu, untouched in iOS 10, continues to be limited to moving one file at a time from one app to another. 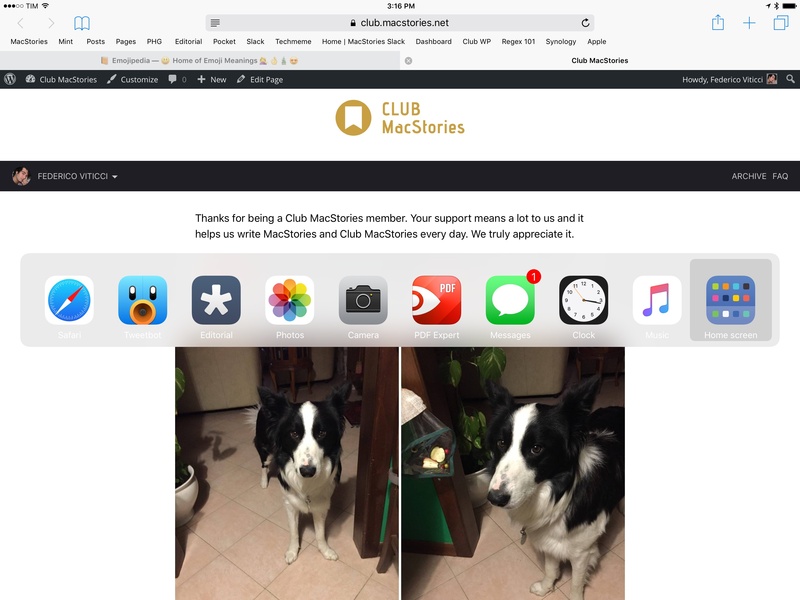 The new 'Add to iCloud Drive' extension doesn't help when even a basic task such as saving multiple attachments from an email message isn't supported. More importantly, it's obvious that Split View could be so much more. Having the clipboard and extensions as the sole data sharing mechanisms between two apps feels too limited when iOS is clearly suited for a system drag & drop framework. 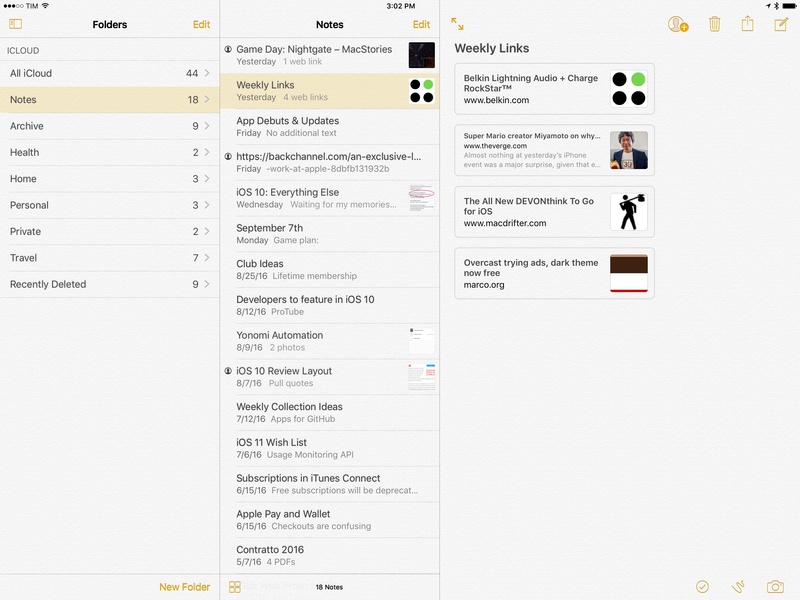 And that's not to mention the Slide Over app picker – unchanged from last year and in desperate need of a redesign. 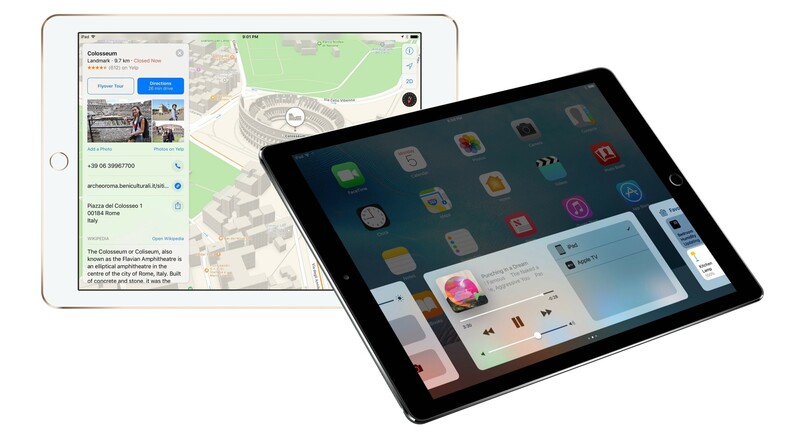 Apple says that "there are great iPad features" in iOS 10, but that's not accurate. 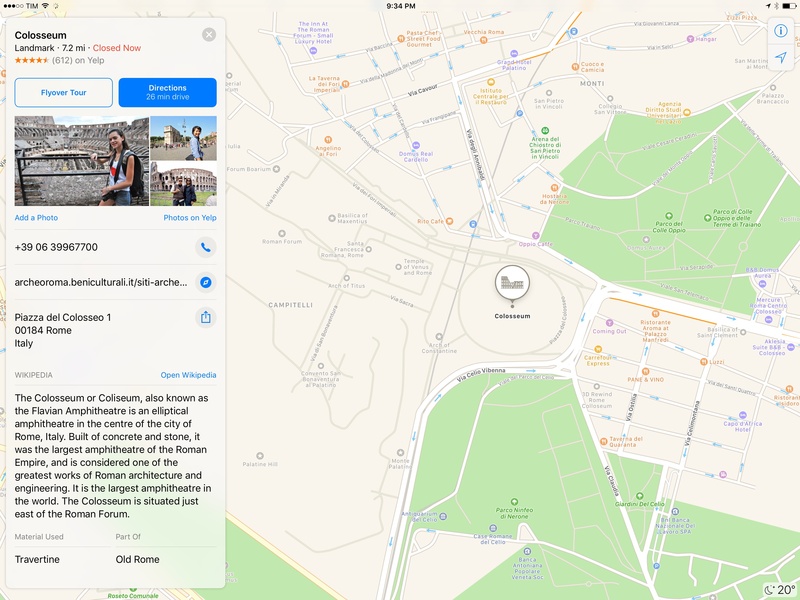 There are great iOS features in this update, and, sure, they also work on the iPad, but the iPad-only changes are minor and sparse – with the sole exception of Safari. iOS 10 doesn't share the same commitment to the iPad as iOS 9, when Apple was willing to reinvent the device's most fundamental aspects. In many ways, this feels like a regression to the days of iOS being barely "optimized" for the iPad. iOS 10 is by no means "bad" on the iPad, it's just not particularly exciting or what the platform deserves right now. If Apple is planning their own tick-tock schedule for iOS releases going forward, the iPad's tock had better be a good one.